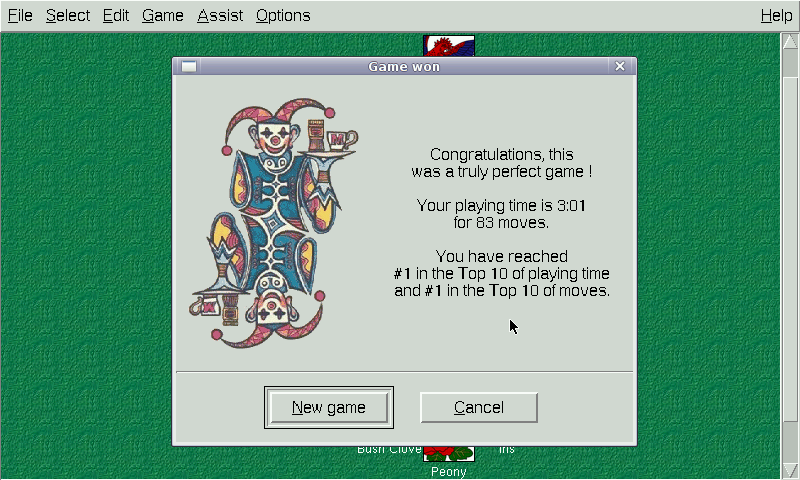 PySolFC is a collection of more than 1000 solitaire card games. It is a fork of http://www.pysol.org/ and distributed under the terms of the GNU General Public License (while other bundled components have their own license terms). 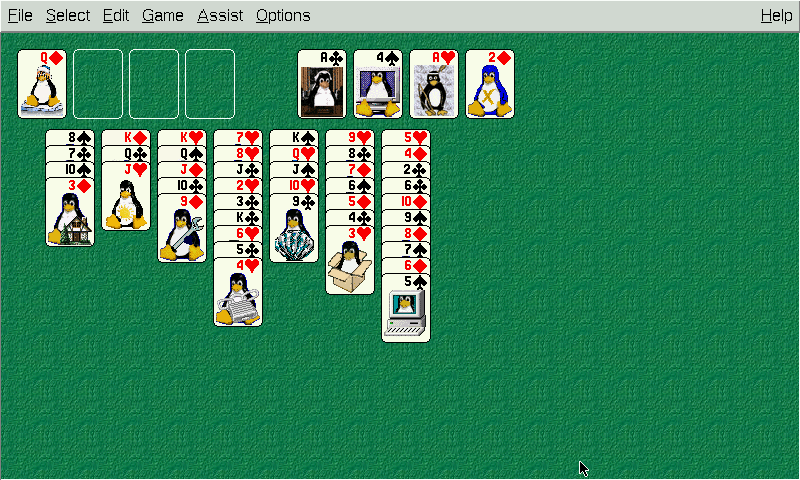 Its features include modern look and feel (uses Tile widget set), multiple cardsets and tableau backgrounds, sound, unlimited undo, player statistics, a hint system, demo games, a solitaire wizard, support for user written plug-ins, an integrated HTML help browser, and lots of documentation. This PND bundles both the python application and the cardsets hosted at http://pysolfc.sf.net/ with Python 2.6.8, pygame 1.9.1, the Python Imaging Library 1.1.7, and Tcl/Tk 8.5.14 for the Pandora. 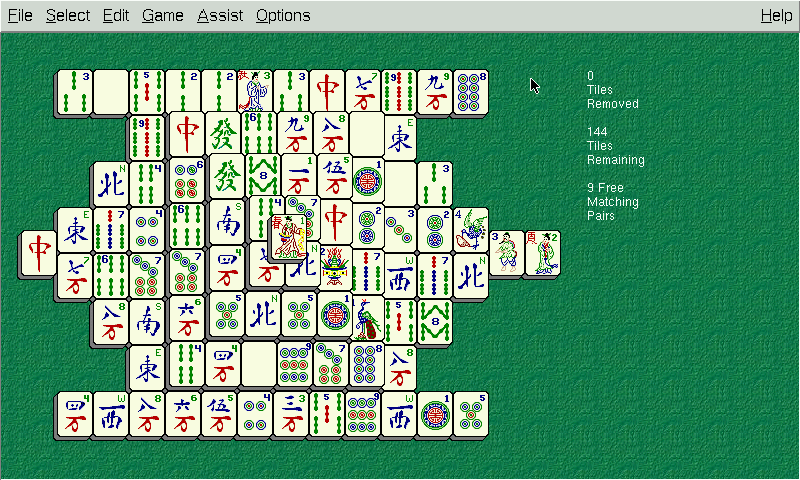 It is playable using either touch screen or nubs. Note that right and middle button clicks have useful (though not neccessary) bindings. There are also different mouse options ingame. 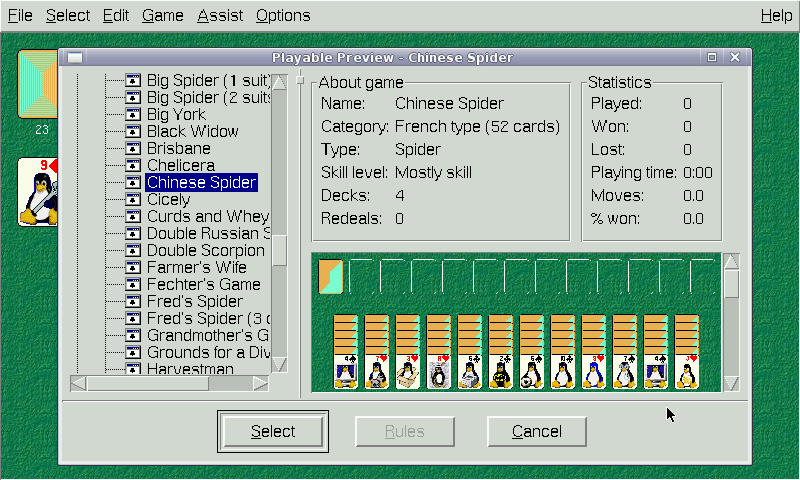 You may want to use a suitable cardset (Ctrl-e, Ctrl-+, and Ctrl--), disable the tool and status bars, or use the window managers fullscreen mode to fit the game on screen. Card resizing takes several seconds (depending on clock speed, of course), but the result looks quite good. Note that it is possibe to have different x/y scaling using the 'load cardset' function (Ctrl-e). The package does not (yet) contain the solver. Starting from build 2 the PND contains a .PySolFC->. symlink. Old appdata dirs with .PySolFc should still work, but should be manually upgraded by moving the contents of .PySolFC one level up and deleting .PySolFc. 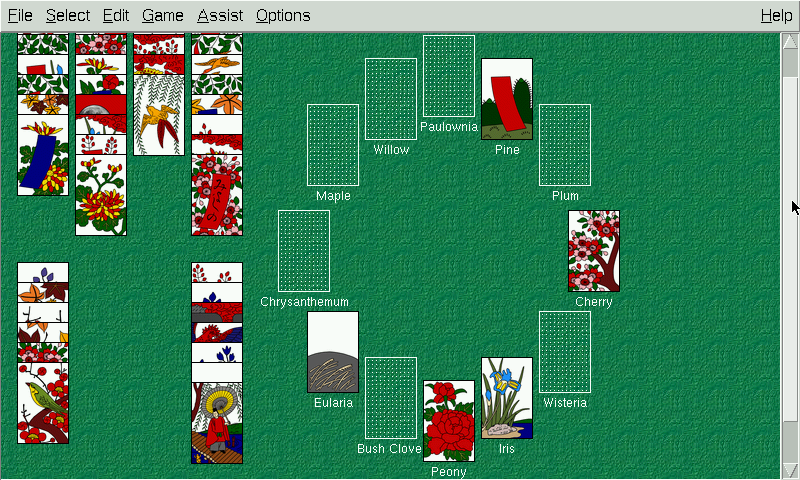 Build 1 (2013-05-05): Bundled current SVN (1065 games) with Flower Clock changes and PySolFC-Cardsets v2.0 (153 cardsets) with (hopefully) fixed hanafuda ranks. Dynamic card resizing is disabled. No Pandora input adaptation has been done. Large PND size due to number of included card sets. Now larger and slower with custom compiled python;) With working dynamic card resizing, the prescaled cardset variants can probably be removed. Also the $APPDATADIR/.PySolFC directory is now optional. If you want, you can move the contents of .PySolFC directly into the $APPDATADIR and delete the (then empty) .PySolFC directory. Let me know of any problems with the package or the game. This is something great !! It's fast, but with so many customizable things that I just wasn't prepared to see !! Thanks !! Is there also a way to put it in fullscreen ? Even better than before graphically. Thanks again.